This entry was posted in Life, Nerdiness, Thoughts and tagged Adobe Photoshop Lightroom, Adobe Systems, Aperture, Apple, Facebook, Flickr, ILife, IPhoto, Nerdiness, Photography by Justin Scott. Bookmark the permalink. I ordered my copy this morning. 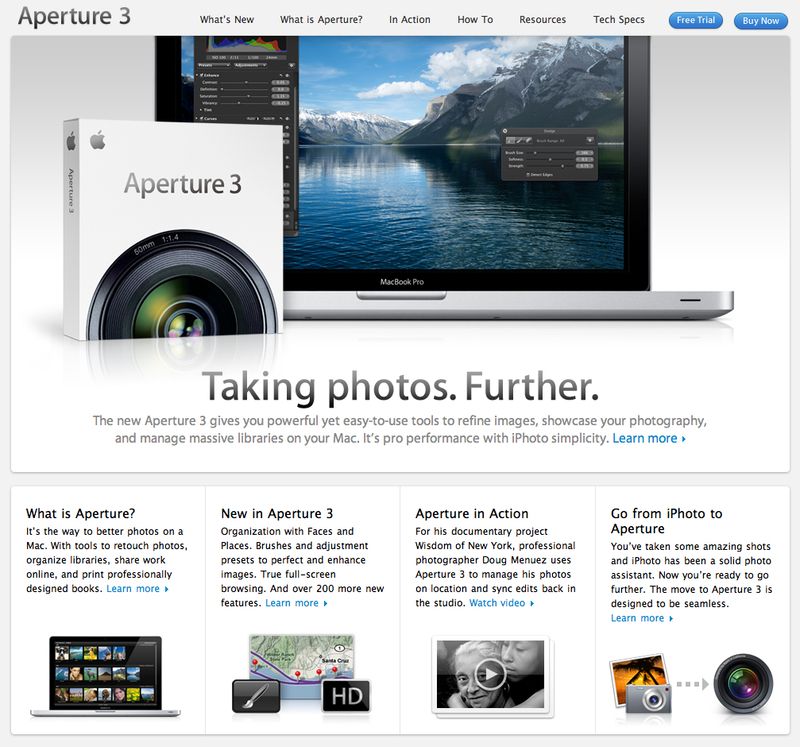 I end up using both Aperture and Lightroom for my work, but it’s Aperture that’s sitting on my personal hard drive. I wouldn’t dream of using anything else. And, from what it would seem in looking at the new features in v3, Apple is intent on keeping it that way!